The products use for 2 minute Aura. 1. Removes any dirt on your face with a tissue, you don't need to remove all your make up for re-applying your make up if you're in a hurry to a party. I think 2 minute aura is really suit woman with busy activity. 2. Use Genifique Youth Activator all over your face. This serum is work into your gen, that's why I didn't need to remove all my make up. This serum claimed to make your face look more brighter, firm your skin so it feels more elastic, minimize pores, anti-aging and improve your skin texture. comes with a pump, the liquid is light and feel cool on my skin, makes my skin feel so fresh. 3. Appy Visionnaire skin corrector, this serum is help to minimize pores, wrinkle lines and skin imperfection such as dark spots, redness, etc. I love the texture, it has the same feeling like Genifique, absorb quickly into skin and makes my skin feel so fresh. Looks more brighter? Yes. 4. Apply the sunblock. Lancome UV Expert GN-Shield. This sunblock doesn't feel greasy at all. Absorb quickly and light texture. 5. 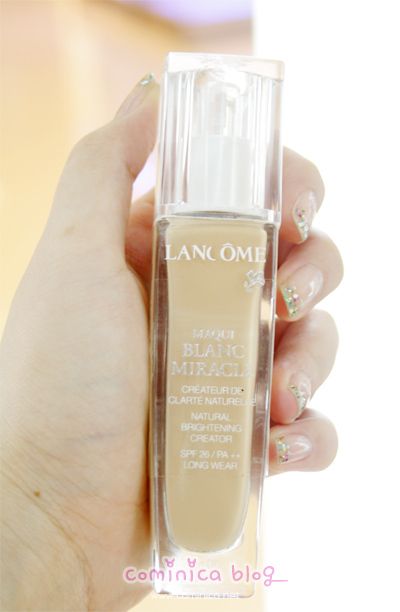 Apply Lancome Maqui Teint Foundation, He just apply it so tiny on my skin for a light coverage. Because, I already put make up before, I shouldn't put too many foundation again. Tap lightly onto skin for a natural and fresh finish. After mix both of the color above. It looks so pretty~~~(ღ˘⌣˘ღ) I love it. But, I prefer extra shine lip gloss than a lip creme. If you love a natural finish, you may try this Lip creme. btw bisa buat cowo ga ya,.? I am using the Visionnaire at the moment and I love it. I think it really works well to minimise pores!!! and that looked like a fun experience! 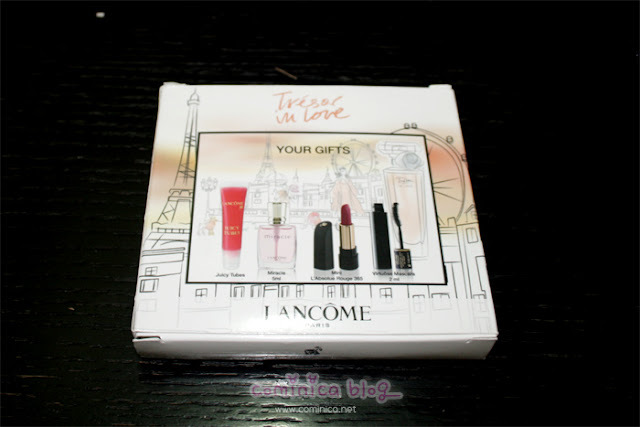 I've always had a good experience with Lancome products. What a fun experience! I wish we had things like that in my area. I would love to attend something like that. Awww I really want it ;_; ,the products is really good! hi leny, can i grab the photo? :) anyway see you at Revlon's today..
Haha after scrolling up and looking at the before and after[lancome] pictures, the verdict is you have flawless skin even without those products. Lol "
hello, sure ^^, okaay, see you there! The cupcake looks so cute! I love what you wore and your hair looks really nice too. I've tried only a few Lancome products but I liked them. I really wan to try their Teint Miracle foundation!